The 14th skill is complete and my Akizuki is *that* much better now. I used to have a 15 point commander on Akizuki but I moved him to Yamato and started from 10 points, and I really took having both IFHE and CE for granted. I went with IFHE first, because without it this ship is utterly useless unless enemies show full broadside. Now the true "sneak up and shred destroyers" playstyle is unlocked. I plan to get AR next, and round off the build with SE. This is easily my favorite ship in the game and is my go-to ship for ranked this season (70%+ winrate), which I get to play it a lot because I had to start from rank 23. 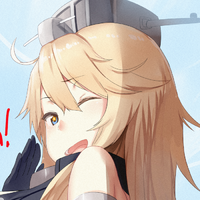 Better continue working on her, because WG is planning to complete that line with tier 9 and 10. Good job! Tough work getting Akizuki to that position, no other ship in the game has such reliance on a well-skilled captain. Congrats, Akizuki really shines when you get IFHE on top of CE. But I don't see that much benefit from BFT, your reload goes to 2.7 from 3 secs, tho you get a buff to your AA. I feel the benefit of SE to be too important to not pick on the first 10 points. 2800 extra hitpoints are a sizable buff to any DD. 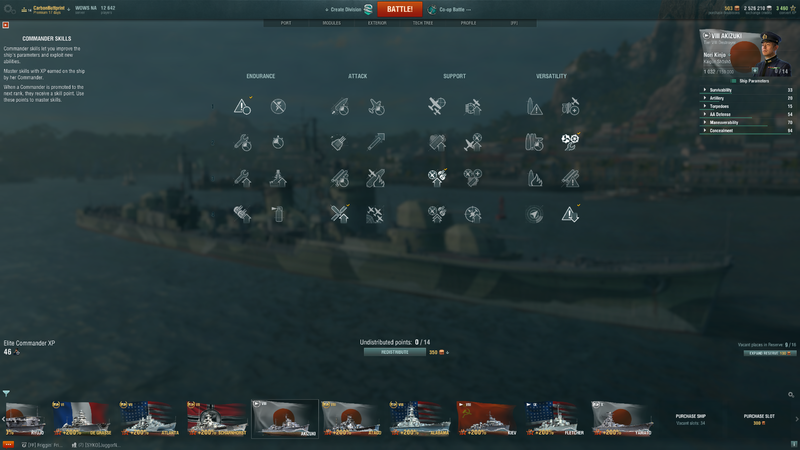 I know SE is very valuable, but I picked BFT because I have been playing ranked a lot, and I find that BFT just helps to shred up destroyers that much quicker. I used to run SE and I will get it eventually but for now I chose BFT. I was also curious and wanted to experiment a little. I never understand why everyone raves about BFT, on any ship really. Adrenaline Rush provides the same perk (as well as torpedo reload) at 50% health for two points, which as a DD you are most likely to lose health during a game. SE and AR synergize well in a DD. SE is a key skill for all my DD's. Going from 11500 to 13600 in a Farragut makes a big difference. At tier 8 and up, the skill is almost like another hull HP upgrade. Only time I use BFT is in my Bismark, just so I can say I have a full secondary build (working on Demolition Expert for it too).